ApexNetwork Physical Therapy attended the St. Louis County Park Run/Walk. The event took place on Sunday, August 28 in Tilles Park. The run was hosted by St. Louis County. 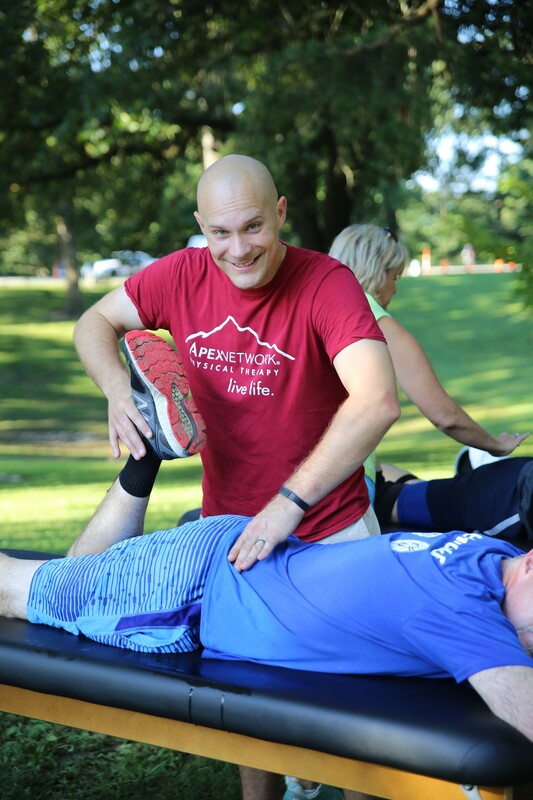 ApexNetwork had therapists at the event from both Brentwood and Central West End clinics, offering free injury screens and stretching the participants. Both clinics look forward to participating and helping out at future St. Louis community events. ApexNetwork is a rehab provider that also offers sports rehab, industrial rehab and manual therapy techniques. The Brentwood, MO clinic is located at 2605 S. Brentwood Boulevard and may be reached at 314-815-5455. The Central West End clinic in St. Louis, MO is located at 4100 Lindell Boulevard and may be reached at 314-361-6100. For more information on ApexNetwork and for additional locations, please go to www.apexnetworkpt.com.